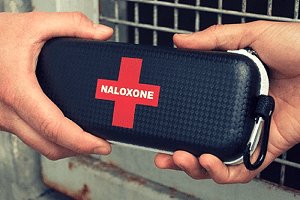 The U.S. Food and Drug Administration (FDA) has taken a step to make it easier for companies that make the opioid overdose antidote naloxone to sell the drug without a prescription, CNBC reports. Making naloxone available over-the-counter would lower costs and increase consumer access, the agency said. Drugmakers that want to take a drug already approved for prescription use and make it available over-the-counter must develop a label that is easy for consumers to understand. The FDA has created two model labels for naloxone—one for the nasal spray version of the drug and one for the auto-injector version. Drug companies also must conduct studies to show consumers can understand how to use the products without a physician’s supervision. The FDA hired an independent research firm to study more than 700 people who might use naloxone if they use heroin or if a friend uses prescription opioids. The study found participants understood the model labels.